My rabbit dug a hole and won't come out! What's wrong? She has been in the hole for the past 3 days! She has been with a male rabbit for at least 3 weeks! So I don't know if she is pregnant or not! And I'm afraid to put my hand in the hole and leaving my scent on the babies (if she has any) and her not taking care of them! 3 weeks in rabbit time is an eternity. Of course the doe is pregnant. I just don't know if the doe has had the babies or not. It takes them just 31 days from conception to kindling. And, if she's still hanging out with the buck, she'll get pregnant with a second litter within a day of kindling the first one. Good luck! 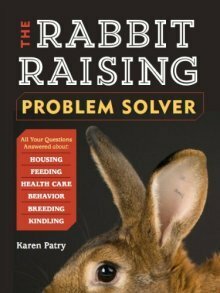 I hope you can figure out a plan to get your rabbits back. And when you do, check out our rabbit run plans - they have wire on the bottom to prevent tunnel-digging (and death from predators).